Racing action is complete at the Dome Valley Season Starter race. The winners today were Geoff Gill (Top Fuel), Bob Snow (Top Eliminator), Steve Anthony (Pro 1), Jose Beas (Pro 2), and Keith Ahart (Pro ATV). - The January/February 2009 issue of Sand Sports Magazine is now available. 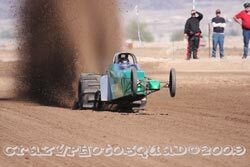 The Sand Drag Scene column features news and info from the October NSDA Primm event. You can find a copy of this magazine at many news stands or to order a subscription go to www.sandsports.net. NSDN took a trip down to Grand Rapids, MI on January 10 to check out the Autorama car show at DeVos Place. 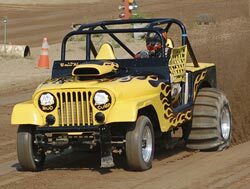 This is a big winter attraction for gear heads in the West Michigan area and this year saw an added attraction as seven sand drag vehicles were entered in the show. Ben Dozeman of Bad Company Race Apparel and Dave Kramer of Cascade 4WD were both key in putting together the display. On display were Dozeman’s Bad Company Jeep, Gary Vereeke’s Turbulence Blown Ford Truck, Dave Stinson’s “Outlaw” Jeep, Brian McWethy and Matt Ewing’s Pro ATV’s, Brian/Tony McWethy’s “The Boss” Funny Jeep, and Nick Disselkoen/Steve Bobeldyk’s “Compromised” Blown Chevy Truck. All of these racers did a great job in helping promote West Michigan Sand Dragway and the 2009 Pro Truck Nationals series. Props go out to these guys for going above and beyond to help promote the sport. Click “Read More” to see pics of the vehicles at the event. We have finally reached 2009 and the new race season is approaching. 2008 was a great season, and all we can do is hope that 2009 exceeds expectations. The month of January this year has been left race less, with the first race of the Southwest sand drag season going off January 31-February 1at Dome Valley Raceway. 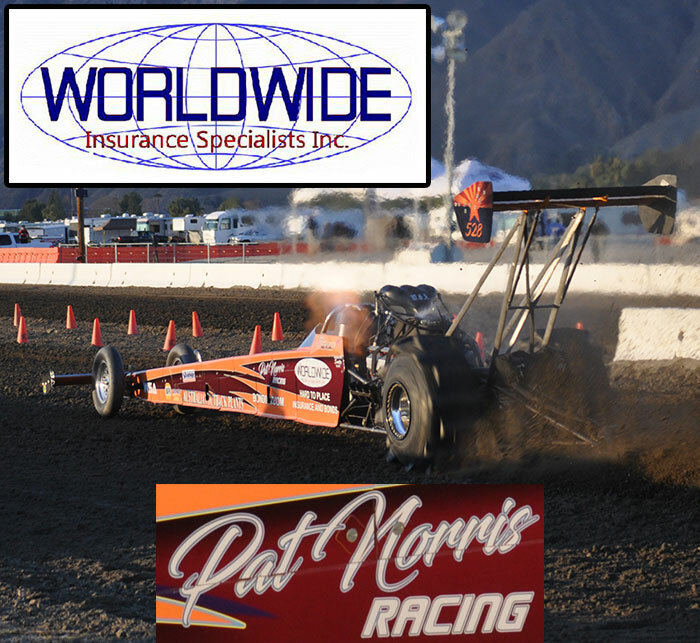 Two weeks after that is the scheduled debut of the new Larry Minor Raceway in San Jacinto, CA for the NSDA series’ Season Opener. Let’s do what we can to make the 2009 race season a success. Dome Valley Raceway in Dome Valley, AZ has announced their first race of the 2009 season, which also happens to be first 2009 sand drag racing event. Click “Read More” to view the event flyer.